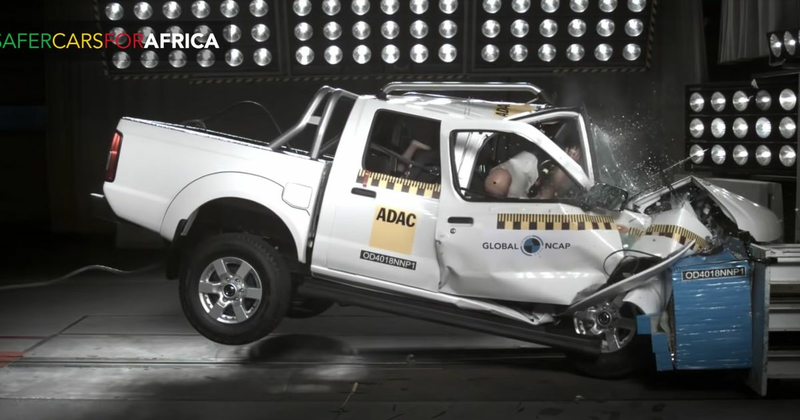 Ladies and gents, this is what a zero-rated NCAP crash test looks like. Not pretty, is it? The vehicle in question is the Nissan NP300 Hardbody, a South African market version of the Navara. It was being evaluated by Global NCAP as part of the Safer Cars for Africa campaign, and the full report makes for grim reading. Bodyshell integrity was said to be “unstable,” and the car offered “poor protection” for the driver’s head, chest and knees. The dummy passenger didn’t fare much better. The entry-level NP300 tested had driver and passenger airbags, but no side, curtain or knee airbags, and no seatbelt pretensioners. Last year, the Fiat Punto received a zero-star rating from Euro NCAP. A few months ago, the ageing supermini was finally removed from Fiat’s UK range.